It oftentimes seemed like the magic trick was selected because the presenter enjoyed doing the trick and then forced the trick awkwardly to fit the theme of the lesson. Then while a Pastor, I was given an opportunity to author a curriculum for a non-denominational youth publishing house with a different short small group study on each of 120 different qualities of God's character as presented in the Bible. Each study was to have a simple magic trick, brainteaser, or other attention-getting activity to engage the interest of the students and then transition seamlessly into the Bible study with its discussion questions. 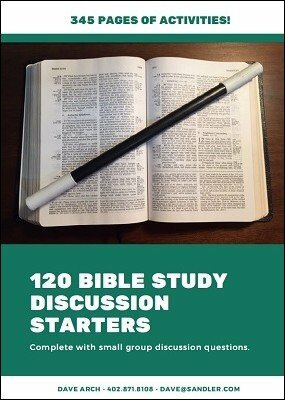 This is the manuscript I sent to the publishing house with 34 pages of short Bible Studies and 300+ pages of discussion starter activities linked to those Bible studies. The eBook has been designed to be fully searchable by topic and/or Bible passage, and I hope it serves as a useful resource for personal and small group study as well as a collection of obscure magic tricks, brainteasers, and other engaging activities. 1st edition 2018, 345 pages.